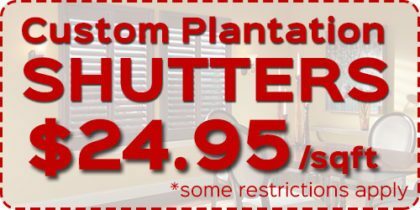 How Do I Clean and Maintain My Shutters or Blinds? The way that you clean your home’s window treatments depends on what kind of material they’re made from. Some need to be dusted and spot-cleaned regularly, and some may need to be vacuumed. Wood can be severely damaged by water and soap, while other materials won’t be damaged even if they’re totally submerged in water. Every material will need to be cleaned and cared for in a different way, and they all require different amounts of attention. Our Maui window treatment experts will make sure that you understand how to care for your window treatments in your home. Which Window Treatments are best for Specialty Windows? Shutters are often the best choice for larger, specially designed windows, in part because they can be designed specifically to fit these windows. They also offer a sophisticated appearance that can be a great match for specialty windows. Our professionals can work with you to find the perfect window treatments for any specialty windows that you have in your home. What Energy Efficient Products Do You Recommend? In Maui and the surrounding areas, your main energy concern is most likely keeping your home cool without overspending on the energy it takes to do so every month. At Maui Shutters, we offer a number of window treatments that can help you reduce the amount of energy that you use to cool your home. UV shades can reduce the amount of visible and ultraviolet light that enter your home through your windows, which will help keep your AC from needing to work too hard to maintain cool temperatures. What is the Difference Between Your Real Wood and Faux Wood Products? Wood blinds are most often made from basswood, a hard wood that can be stained very nicely. Cedar and pine are also frequently used, and they’re favored for their grains and knots, which can improve their aesthetic appeal. Wood blinds typically come with a 4-10 year warranty, and they do need to receive proper care. Faux wood is damaged much less easily than real wood, yet it still has some of the great appearance of wood. Some faux wood products are hollow, but ours are all reinforced with aluminum to minimize wear-and-tear. 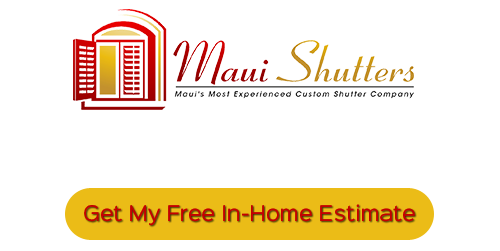 If you’re looking for Maui Window Treatment FAQs, call Maui Shutters at 808-495-3434, or fill out our online request form.